OKLAHOMA CITY—(BUSINESS WIRE)—Great Salt Plains Midstream Holdings, LLC (“GSPM”) recently closed on its acquisition of Thunderbird Midstream LLC. Both firms have headquarters in Oklahoma City. The acquired assets include the Thunderbird Midstream cryogenic natural gas plant with 20 million cubic feet of natural gas per day (MMcf/d) processing capacity. The plant began operations in 2016 and is located on more than 40 acres to allow for expansion to meet increased demand. The Thunderbird assets provide immediate processing capacity with additional firm market outlets for residue and natural gas liquids (“NGLs”). The transaction includes a 34 mile natural gas pipeline gathering system. The acquisition continues the buildout of GSPM’s infrastructure in the prolific STACK play of northwestern Oklahoma. GSPM also has a state-of-the-art cryogenic processing facility under construction in Major County, Oklahoma, called the Silver Lake Plant, which will have an initial capacity to process up to 70 MMcf/d, with expansion capacity of up to 220 MMcf/d. Additionally, GSPM is constructing over 90 miles of natural gas gathering pipelines and multiple compressor stations and expects the new facilities to be in service in July 2018. Great Salt Plains Midstream (“GSPM”) is a joint venture providing midstream services to producers in the STACK play. 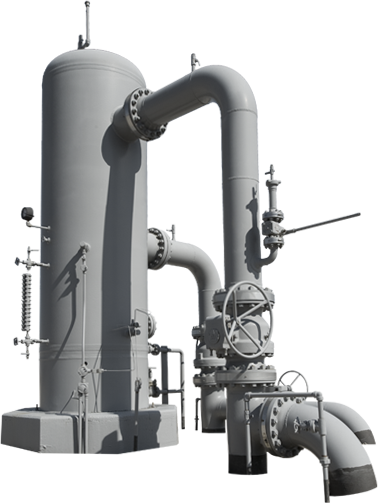 GSPM’s natural gas system includes a cryogenic gas plant with 20 MMcf/d processing capacity, a 70 MMcf/d cryogenic gas plant expected to be in service in July 2018, multiple compressor stations, and over 120 miles of natural gas gathering pipelines. Its crude oil system includes over 130 miles of crude oil pipelines, 4 injection stations (near the towns of Perry, Covington, Hennessey and Cherokee, Oklahoma), and 314,000 barrels of total storage which provide gathering and transportation services from northwest Oklahoma to several important markets, including Cushing, Okla. More information about GSPM and its services is available at www.GreatSaltPlainsMidstream.com. MVP Holdings is a privately-owned energy logistics company, headquartered in Wichita, Kansas. MVP Holdings and its subsidiaries MV Purchasing, LLC, MV Pipelines, LLC and MVP Midstream, LLC, provide gathering, transportation, processing, storage, distribution, marketing, and other midstream services to independent crude oil and natural gas producers, refiners of petroleum products, and other market participants located throughout the United States. More information about MVP Holdings and its subsidiaries is available at www.MVPurchasing.com. Energy Spectrum Capital (“ESC”), headquartered in Dallas, Texas, was founded in 1995 to manage private equity funds that make direct investments in lower-middle-market companies that acquire, develop and operate North American midstream energy assets. As an established private equity fund manager dedicated to the midstream energy industry, ESC is a valuable partner to premier management teams that are pursuing compelling opportunities in the midstream sector of the North American oil and gas industry. This investment was made from Energy Spectrum Partners VII LP, a $1.225 billion fund. More information about ESC is available at www.EnergySpectrum.com. Apollo is a leading global alternative investment manager with offices in New York, Los Angeles, Houston, Chicago, Bethesda, Toronto, London, Frankfurt, Madrid, Luxembourg, Mumbai, Delhi, Singapore, Hong Kong and Shanghai. Apollo had assets under management of approximately $249 billion as of December 31, 2017 in private equity, credit and real estate funds invested across a core group of nine industries where Apollo has considerable knowledge and resources. © 2019 MVP Purchasing, LLC. All Rights Reserved.